Safestore Self Storage in Birmingham Central is conveniently situated a little north of the city centre, at the junction of the A34, known locally as the New Town Row and the Newtown Middleway city ring road. The store is just up the road from the Royal Mail sorting office. Birmingham has the perfect blend of city and countryside meaning that many people relocate to live and work in the area. If you're stuck for space at home or in your business, we can help. Storing with Safestore is easy and stress-free. Our storage rooms are safe, secure and range from small lockers to large units. Our friendly team can offer you rooms long or short term at a great price. Whether you’re looking for business, household, student or archive storage in Birmingham or Aston, you’re sure to find exactly what you need with our team of friendly advisers. Get in touch with us today for a quote. We have a range of storage solutions at Birmingham Central Safestore, whether you are moving house or just need some space to store your things. Use our storage size tool to help you decide what you need. 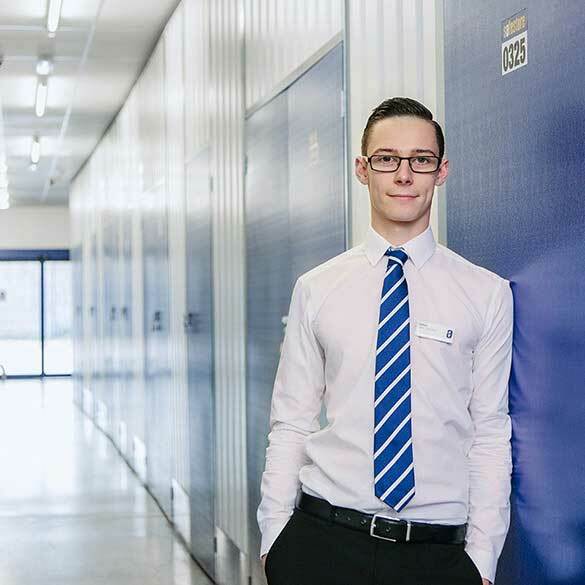 Get 50% off storage for up to 8 weeks at Safestore Birmingham Central with no minimum stay. Offer available at all UK Safestore centres. Get a storage quote at Safestore Birmingham Central today and reserve a unit for free. When you move in we won't need a security deposit either. Get 20% off at Safestore Birmingham Central if you agree a stay for longer than 12 months. Terms apply. No matter where or what you are moving our reliable team is on hand to transport your possessions in a safe and secure manner. In fact that’s part of our company policy, to treat every relocation as if we were moving our own family or friends. Our team of thoughtful staff handle your belongings - be it residential or commercial - with the up most respect and care, so you can rest assured that with Terry's you and your precious memories are in very safe hands.